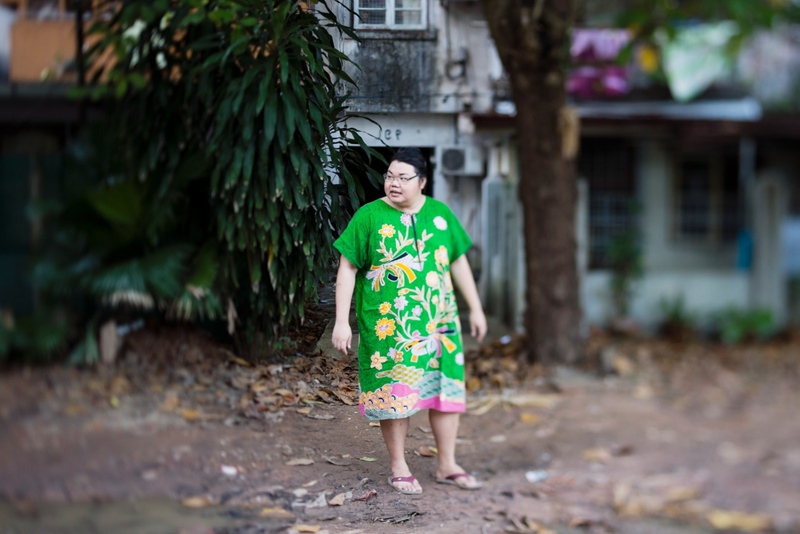 Yaya, outside her apartment in Yangon. 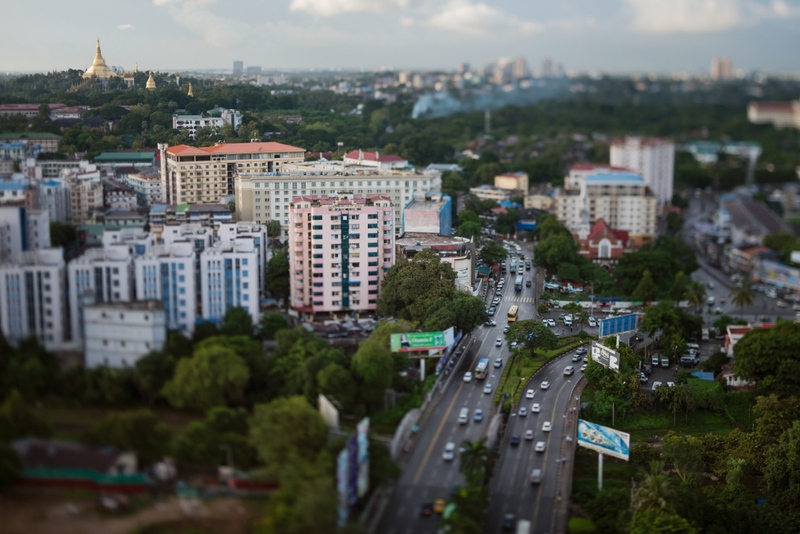 Shwedagon Pagoda and a main street in Yangon. 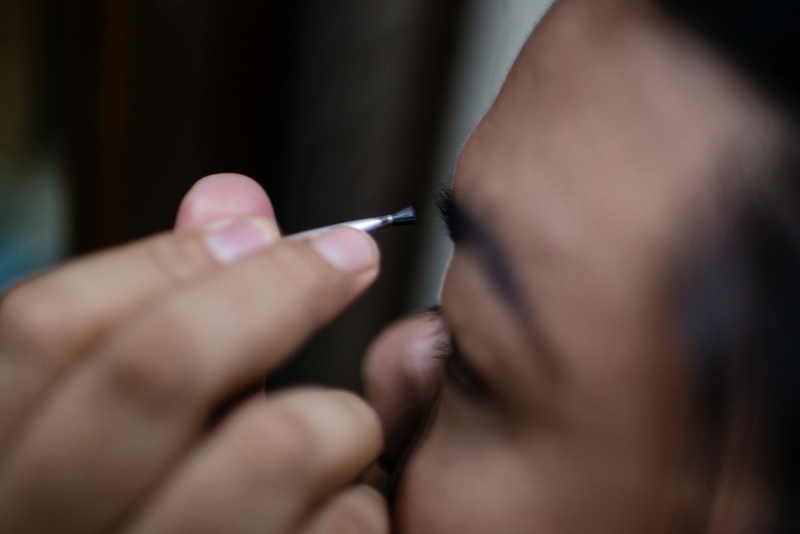 Yaya putting on make up and getting ready for a night out in Yangon. Yaya getting ready for a night out in Yangon. Thar Ko and Ye Htut Soe and Yayas boyfriend at a shopping street in central Yangon. 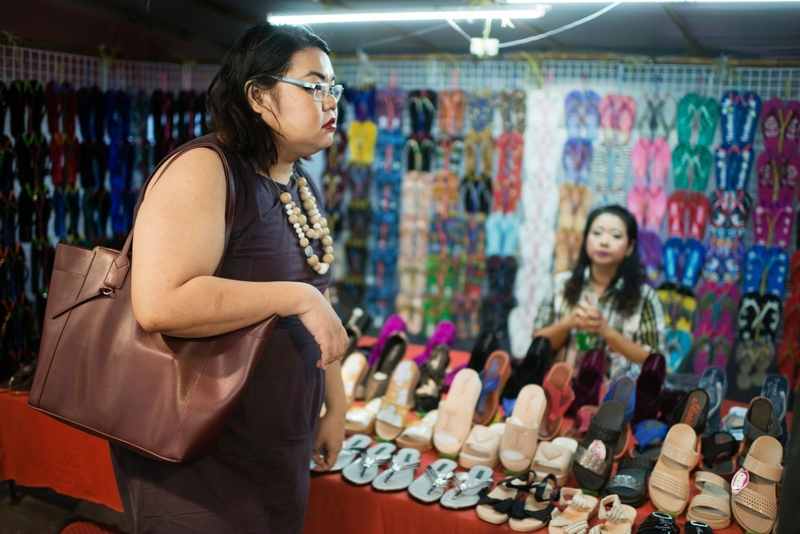 Yaya looking at shoes on a shopping street in central Yangon. Yaya and her boyfriend at a restaurant that doesn't stop her at the door, which is quite common at other places she says. 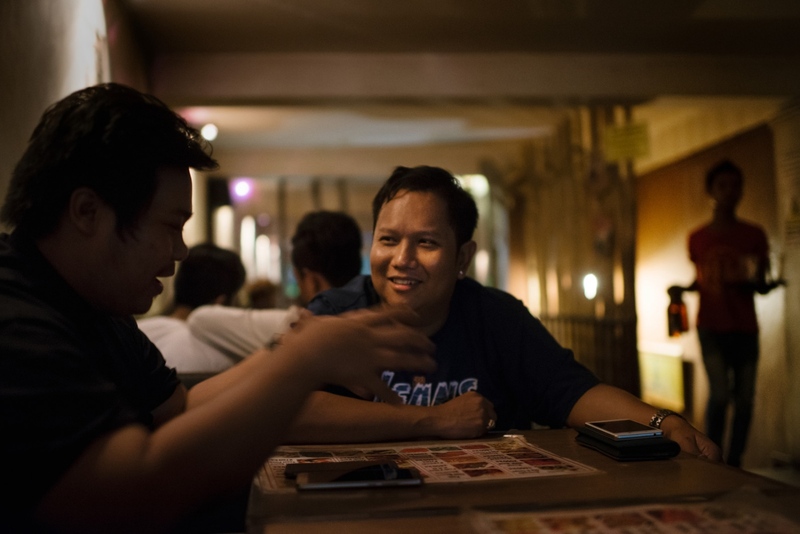 Thar Ko and Ye Htut Soe at a restaurant in central Yangon. 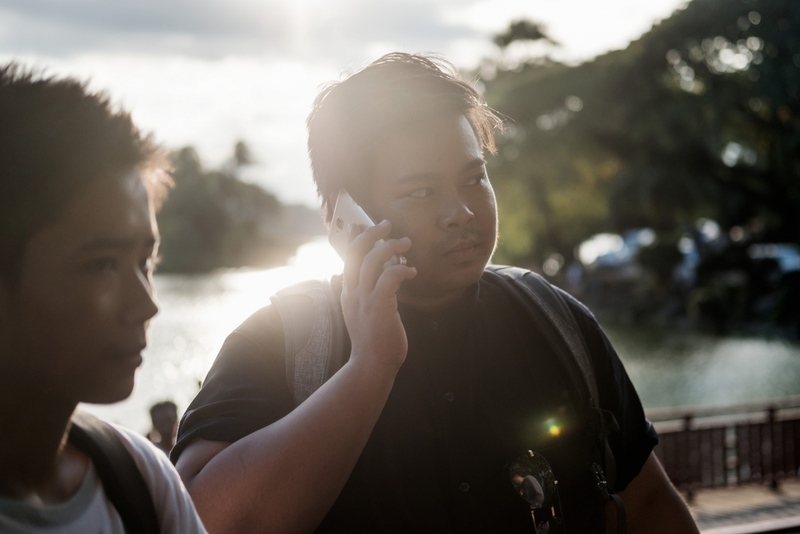 Thar Ko on the phone in a park in central Yangon. Ye Htut Soe shows a picture of himself as a woman on his cellphone. 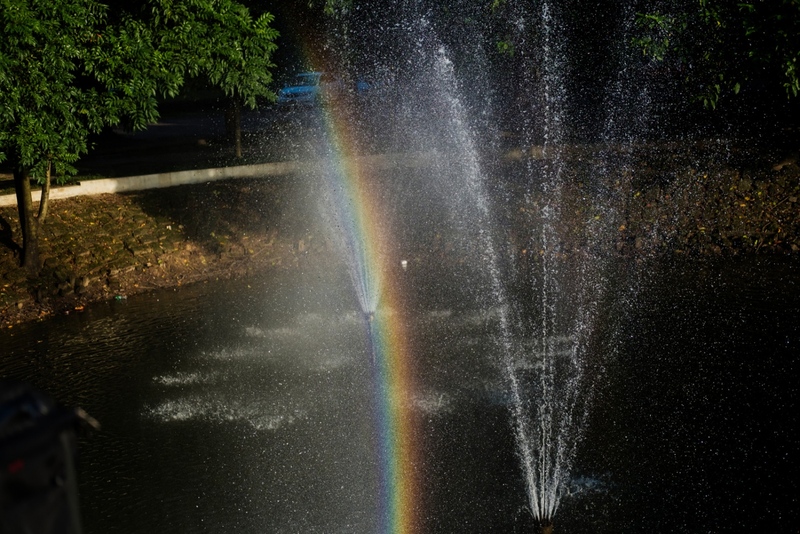 A rainbow appears in a fountain in central Yangon. 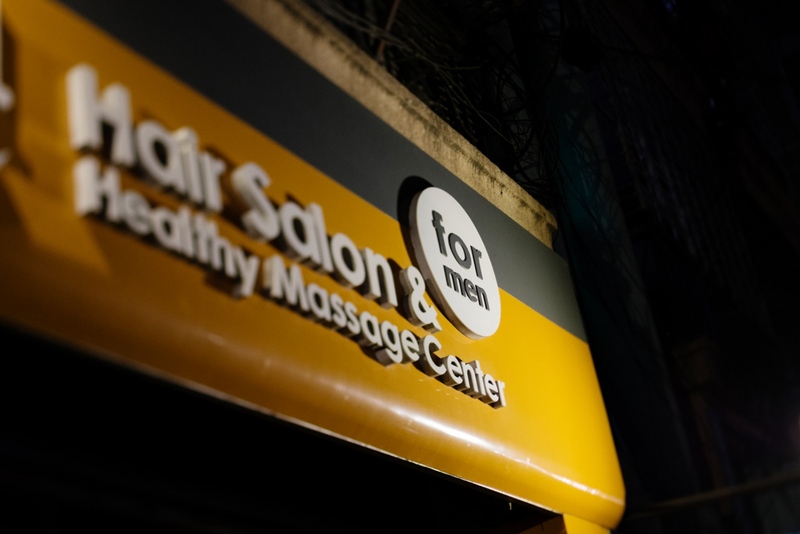 Massage salon for men only. 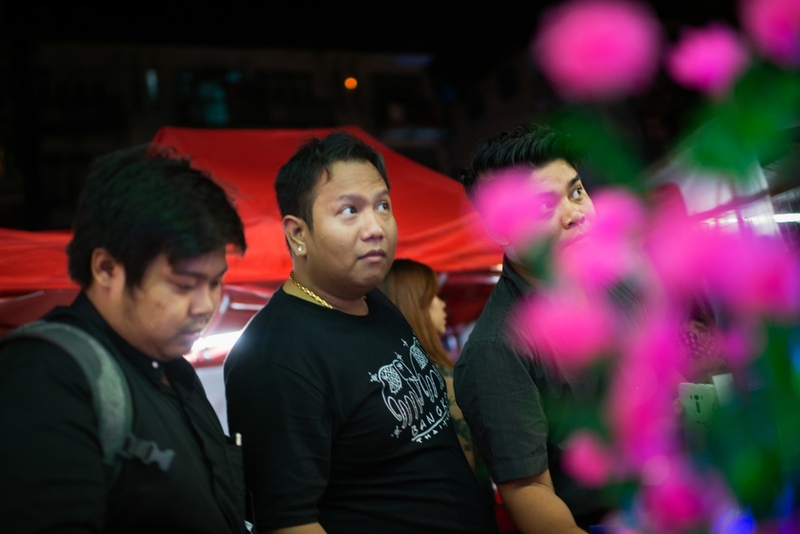 Thar Ko and Ye Htut Soe at a massage salon "for men". 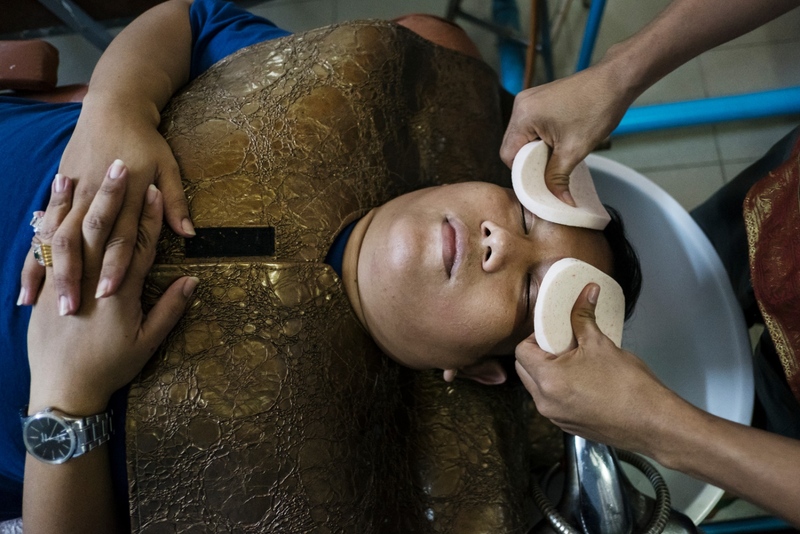 Ye Htut Soe gets a facial massage at a massage salon "for men". 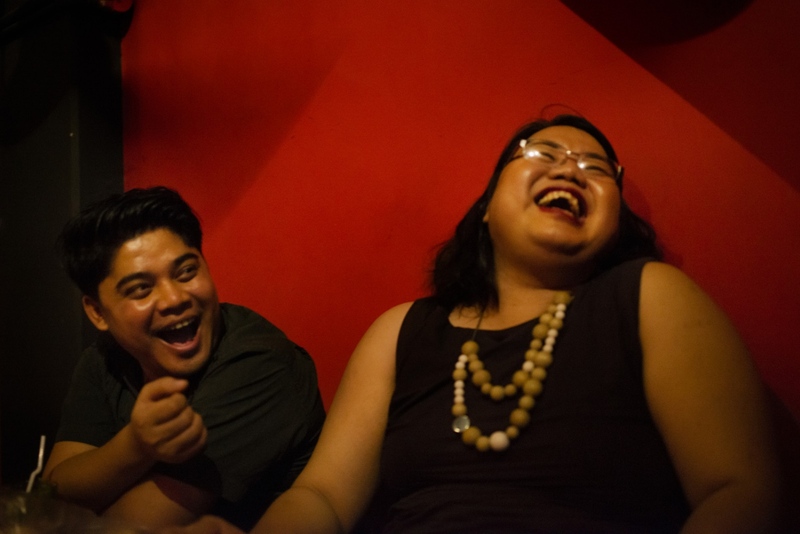 Strict gender roles, colonial legislation and religion have long restricted Burmese sexuality. 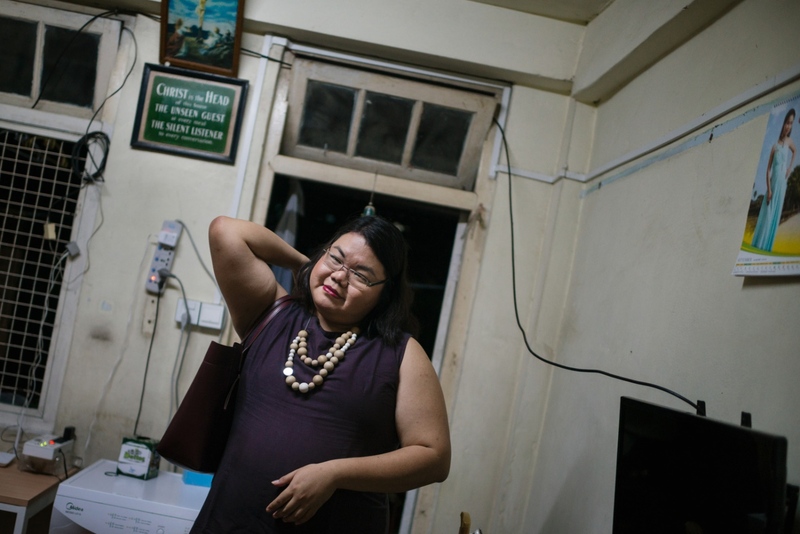 In Yangon a new movement is emerging as LGBTI persons are coming out of the shadows.